Atrial fibrillation clinical studies focus on many aspects of the disease. Some study ways to prevent it while others look at managing it in order to prevent it from resulting in more severe conditions such as stroke and heart failure. If you have been diagnosed with atrial fibrillation you are most likely an excellent candidate to take part in a clinical trial. If you feel that you may qualify and are interested in participating in a current atrial fibrillation clinical trial, please review the list below. Participation in clinical trials is always at no cost to you. Atrial fibrillation is the most common form of an abnormal heart rhythm. It occurs when heart muscles quiver rather than pump blood in rhythmic contractions. Atrial fibrillation in itself may not be detectable or dangerous to a patient, but it is an indication of possible future ailments such as stroke, heart failure and palpitations. Atrial fibrillation can sometimes be detected by taking a pulse and an EKG will also reveal it. The risk of developing atrial fibrillation increases with age and the condition tends to become chronic. The main goal in treating atrial fibrillation is to prevent instability in the circulatory system that could ultimately lead to a stroke. When blood is not being pumped correctly it can pool and clot. It is sometimes treated with anticoagulation medications such as aspirin that help prevent blood from clotting. 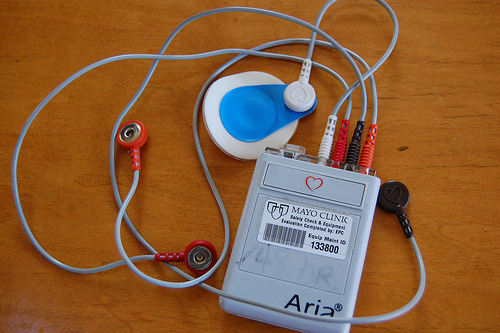 Atrial fibrillation treatments also include rate control and rhythm control. Rate control reduces the heart rate to a normal one while rhythm control aims to regulate the rhythm of the heart beat. Another available treatment is called cardioversion. Cardioversion uses either electric shock or chemicals to regulate the heart beat.